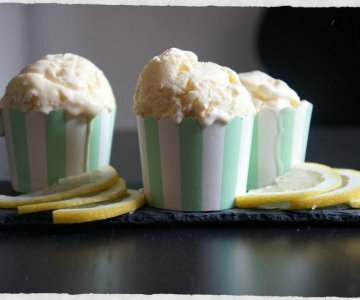 Lemon ice cream with white chocolate chunks - made without an ice cream machine. This is a very Danish specialty. I actually don’t think any other country makes these. 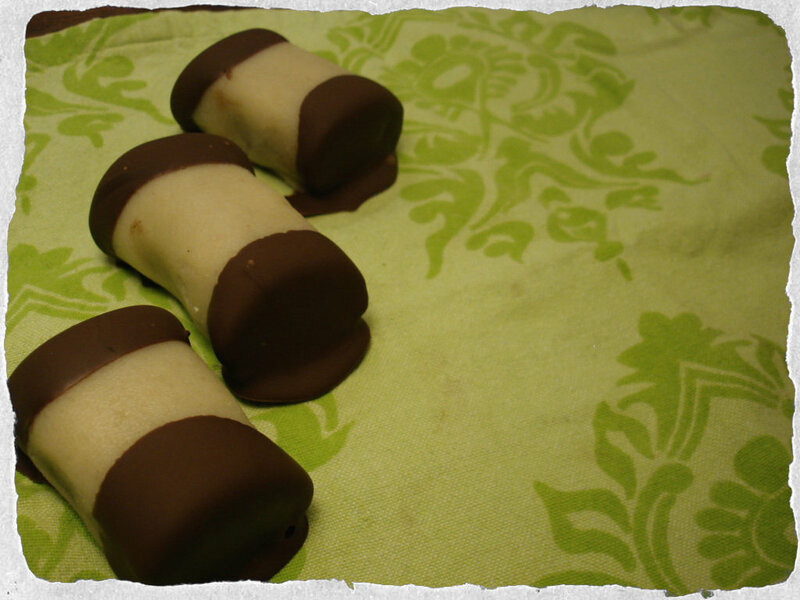 I know that many countries have their version of a rum ball, but these rum tree logs covered with marzipan are typical Danish (as far as I know) and can be found in any bakery around the country. The center is a delicious chocolatey/rum/cake mixture. The ingredients are the same as a rum ball, but tree logs are of course shaped different like a log and also as mentioned covered in marzipan and more chocolate. When bakers made these rum balls and tree logs, the mixture was actually made of cake leftovers from the bakery (yummy, I know…) and then added lots of jam and rum essence. I don’t know if that is still the way they make them to day. But whatever way they do make them, they are delicious. The cake that I used was actually baked for these logs and left in the fridge for a few days so it wasn’t too fresh as the texture will be better this way. I added a bit of green food color to the marzipan this time as that’s the way they often look when I buy them at the bakery. Crumble the cake in a blender. Whisk marzipan, melted nougat, cocoa powder, raspberry jam, crumbled cake and rum aroma into a solid mass. Put the mass in the fridge for an hour to set. Divide the dough into four pieces and roll into four long logs – about 3 cm in diameter. Put the logs back in the refrigerator while you make the marzipan coating. Mix all the ingredients together in a mixer. Use your hands to make sure everything is bind together. Divide the marzipan mass into four pieces and roll them out, thinly. One for each log. Now take the logs out of the fridge and cover with the marzipan. Cut logs into smaller pieces, about 5 or 6 cm. Melt 100 g of dark chocolate. Dip the ends of the logs in melted chocolate. Place on grease proof paper to set. Store the logs in the fridge, they are best when served chilled.